Jagaiah et al. (2019) suggest developing a series of checklists as a way of supporting students who find the writing process difficult. Ideally, these checklists should be constructed in conjunction with the student. Identify the student’s overall strengths and needs for the particular genre being taught. Identify the required information that needs to be included in the writing. Identify expectations as outlined in a marking rubric. It is recommended that a separate checklist be developed for each stage of the writing process so as to not overwhelm students with too much information. It is also important that teachers provide students with explicit instructions on how to use the checklist, including modelling each step using ‘think alouds’ to verbalise their thought processes to the students. 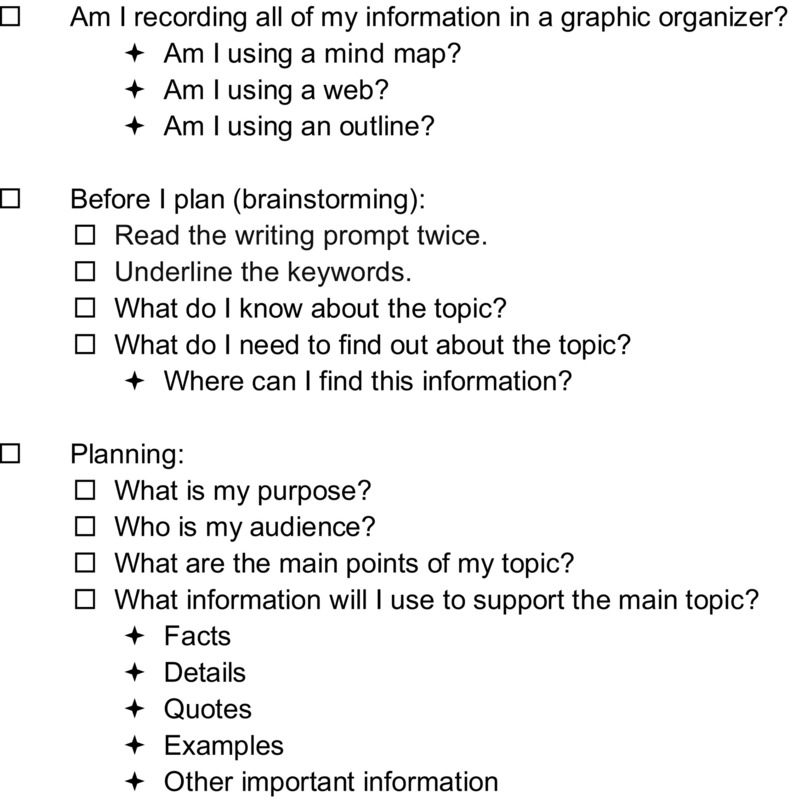 Planning the writing (see picture for an example of planning for writing an informative essay). This is an open article, so click on the link below for more information. For more ideas to support struggling writers.